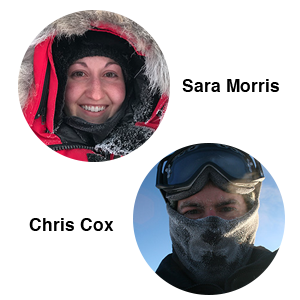 It was a very consistently windy day today as we installed radiometers into each ventilator on the roof. In addition we spent half of the day leveling the tables and securing each ventilator unit with lock washers so that nothing shifts over the course of the year. 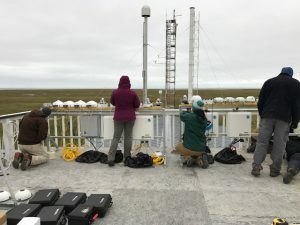 After each radiometer was installed, we ran cables from the logger boxes to each radiometer to power and collect data from the instruments and ventilator units. We did not connect to power or turn anything on today as we spent most of today overcoming field work hurdles of unforeseen issues mounting the table to the roof… but worry not, everything was resolved and everything has been securely fastened. We are anticipating a rainy night that will continue through tomorrow morning, so we may have to wait out the storm to continue working safely on the roof (which was also the main reason to push through today to get everything connected before the rain started). As nature would have it, it did start raining right as we pulled away in the truck, great timing! 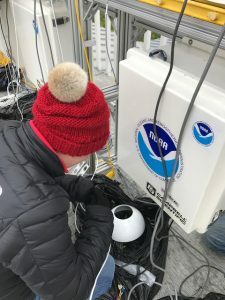 Meghan installing a radiometer into one of the ventilators! The team moving forward on the table mount! 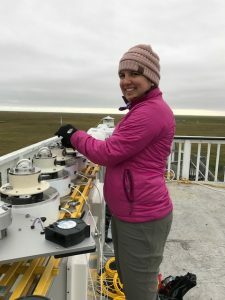 Sara installing and connecting cables and radiometers to each ventilator.